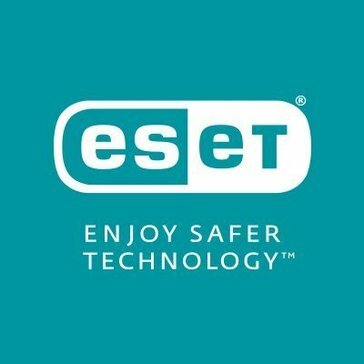 Work for ESET Mobile Security? Learning about ESET Mobile Security? "ESET Mobile Security Keeps You Safe On The Go. " It just has a ton of great features. I tend to test a lot of apps. I do reviews on them. Mainly the apps I look at are tech related in some way or finance. But I do the occasional game review and I know I can feel safe with ESET watching out for any malicious code that may try to sneak its way in. Plus you get anti-theft, anti-phishing, text and call filters and more. It is pretty handy. Maybe a way to connect it to your other systems like say run a scan on your home computer from your phone as long as you are using ESET on both that would be cool. And handy if you are managing a lot of systems as an I.T. Admin you could run scans and get updates easily. It just has a ton of features to keep you covered. It is a great well known established company. And you can feel more secure in knowing your data is being protected with that extra layer. Plus it has phone tracking! So if you have your phone stolen or you just lose it in the couch cushion. You will be able to find it. keeping my phone secure and helping to inform others what apps are safe to use. "Eset Mobile Security, an excellent option in terms of antivirus for mobile devices." ESET Mobile Security is a complete security solution for mobile devices such as Smartphones, PDAs and other devices available for Windows Mobile and Symbian operating systems. Includes antivirus and anti-theft protection, firewall, security audit function and MMS / SMS antispam. It is also quite light which allows it to be installed on devices that do not have the best specifications. It is quite effective in many aspects, but it is not able to repair files that are infected with Trojans that have been embedded in the system, or trojan dowloaders and hidden processes, I would really say that it is good, but not the best, I have tested this product for 4 months, and actually when I find myself with this mishap, it really shows its inefficiency in really infected systems. It is a powerful tool that consumes few resources, very complete and easy to use. Since I started using it, I've never had problems, recuming it with my eyes closed. If they have availability, the premium version is even better. Is an important business tool in terms of security and can help recover the device after a theft, the program detects suspicious activity (such as loading an unauthorized SIM card or the wrong entry of a password / blocking pattern), it is notified via email and the proactive Anti-Theft will block your device, take screenshots and provide location information so you can track the device through my.eset.com which is extremely valuable. eset mobile is a pretty good protection system to prevent infections and data theft from our mobiles. As usual in antivirus, you can choose a paid or a free version. with the paid version you can opt for antivirus, anti-theft, anti-pishing, blocking apps, filtering calls and security review of your device, while with the free version you only have the antivirus and the tracking system in case of theft or lost. The program is quite light and runs quite smooth on my phone (moto g4). The analysis system is quite good and deep, the time of delay depends on the files they have and the amount of information to be reviewed. It does not have invasive ads, something that is appreciated. I think the worst flaw or the worst flaw is the fact that the update of the database is not done daily, but every two or three days, which if you are a user who installs many applications of unknown origin or browse through pages with many ads could eventually contaminate your phone. is a good antivirus, with a good level of security and the best thing is that you do not require a mobil so powerful to move it properly and without interruptions. It offers protection against possible data leaks due to the fact that I use the cell phone when paying bills, enter to check bank details, enter passwords, or, when looking for urgent information. also allows to have optimized the mobile to avoid freezing when using many tools. "ESET : Security you need"
One of the brand player in the antivirus industry is "ESET Mobile Security". Light on the system yet effective. It has a simple and compact user interface. ESET is a Powerful Antivirus that secures your device against cybersecurity issues, including ransomware attacks, detects and blocks threats and phishing sites almost instantly. It has a proactive "Anti-Theft" i:e it locks a device against unknown SIM and helps you find your missing phone. The best feature it provides is Scheduled Scanning. You don't have to open the app every time and do manually scanning. It also includes "USB On-The-Go Scanner" so as soon as you put your USB in, it automatically scans it. The App Lock functionality sometimes does not work as expected. When ESET live grid is turned on ESET was the biggest battery draining app. Night mode can be set only on AppLoc that is part of ESET Mobile Security and not on others. ESET keep your Android device safe. It provides a comprehensive protection for all your Android smartphone and tablet. You can enjoy the safer mobile experience with ESET Android security. Switch to ESET if not yet, I bet you won't regret it. ESET Fits all security requirements. Flexible and scalable to any IT environment. It offers "Endpoint Detection & Response" so that you can know if all your data was sent successfully. It also includes manual malware analysis and has two-factor authentication which I liked the most. the installation is fast and clean. At the time of installation, it starts immediately with the analysis on the device, which is very fast and does not interfere with the use of the mobile device. It has antivirus, anti-theft, anti-phishing, blocking, filter calls. It is completely configurable and very easy to use, also its environment is very pleasant and intuitive. your requirements are minimal; android 4.0 and higher, 512 MB ram, Touch screen, Processor: 500+ MHz. There are two things that I do not like about this system. 1.- It is not free like other antivirus. But to start you get a free premium month. 2.- Androoid asks for several accesses to systems and content. eset movil is a complete antivirus to protect your electronic devices. It takes few recourses to work, offers several protections and you can also choose between staying with a free account or a premium version (which is much better). The best feature is malware-scanning function of ESET Mobile Security and is quite robust, with three distinct levels of scanning. A Quick Scan searches installed applications, other executable files, library files and ZIP files to three nested archives (i.e., archives within archives within archives); it typically took 6 seconds on my Google Nexus 6P. Also the Smart Scan adds external storage to the Quick Scan, so the added time depends entirely on the contents of your microSD card. Finally, the Deep Scan is what other apps call a Full Scan — it goes through all files on internal or external memory, regardless of the extension, and, in my testing, typically was done at just under a minute. My biggest complaint regarding ESET Mobile Security is the user interface and overall look of the app. While ESET consistently updates the functionality of the app, the design looks and feels years out of date. The Anti-Phishing feature's failure to block known phishing sites also gave me cause for concern. While the core functionality of ESET Mobile Security worked well, there are better premium options, such as Bitdefender Mobile Security or Norton Mobile Security, for those willing to pay for it. ESET Mobile Security offers a compelling set of features at a reasonable price. The free tier will meet the needs of some users, as it has excellent malware detection, a moderate performance impact and a few extras. Using Eset Mobile Security for business, I like that it blocks known phishing sites and displays a warning message. This feature is available only with some browsers but it keeps your credential safe, especially working with multiple business accounts. ESET mobile security is very good security tool.It is capable to detect both known and unknown threat in andriod.It has variable time scanning (quick/smart/deep) along with background scanning. Unbeatable call and message filtering.It has also anti fishing module at normal price. The process for updating the program can be a bit difficult task. It may slow down you phone. Many useful feature are only available in premium version. I higly recommend to use this security tool at least for trial version. If you satisfy you can buy its premium version. Fully satisfied with the product.Many people switches to this software in my company. Great software and high discounts for non for profit organisations. The management platform is not as intuitive as version 5.0 used to be. Instead of facilitating management and deployment, the new console makes management more difficult. I highly recommend this product for non for profit organisations. Great value for money. It is a great antivirus solution for mobile devices, particularly Android. It offers a simple MDM that can be used to manage application. Although, I don't recommend using it, it can be complex to configure. There are better MDM solutions out there but for AV protection it is a great solution. Fast and easy scan on device. All the features like anti theft and call and SMS block. Automatic scans are off by default. When you remove a virus or malware it doesn't immediately tell you it was removed. That even casually using my phone to browse internet every now and then can pickup issues. Making my phone more secure and giving me piece of mind. This application is the best and I used many of them on my phone. I can't really say anything I didn't like about it. So far this works great. "One of the best AV for Android"
The UI is easy to understand. The scanning process doesn't consume too much memory. IMO, I don't like that this product is not totally free. But then, I guess it is impossible to create a good product if it's free and no ads. Try the free version first! I think for most of us, the features provided are enough already. ESET Mobile Security provides a next-level of protection for my android phone. * We monitor all ESET Mobile Security reviews to prevent fraudulent reviews and keep review quality high. We do not post reviews by company employees or direct competitors. Validated reviews require the user to submit a screenshot of the product containing their user ID, in order to verify a user is an actual user of the product. Hi there! Are you looking to implement a solution like ESET Mobile Security?